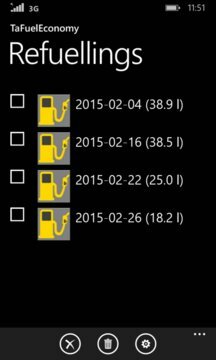 TaFuelEconomy is a simple application for monitoring your vehicle's fuel economy. 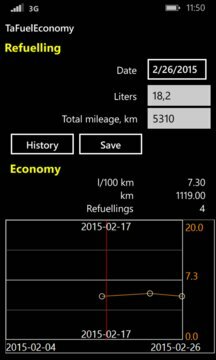 Enter refuelling data to the app and it shows statistics of the average fuel consumption, total distance and number of refuellings stored in history. Refuelling data are listed on the history page, and they can also be removed individually or all at once.